She did it again... Another home run sired by Applause! We have high hope for this guy! We repeated the breeding... again! Her crias are amazing! 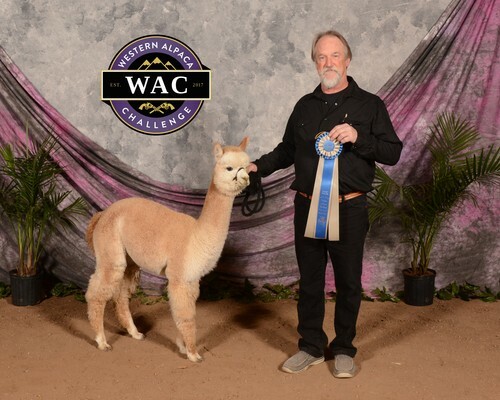 Josie's 2014 female cria Monique is a stunning! She is strong, straight and perfect in conformation, coverage and fleece handle. We could not be more pleased ! Monique will be in our 2015 show string. 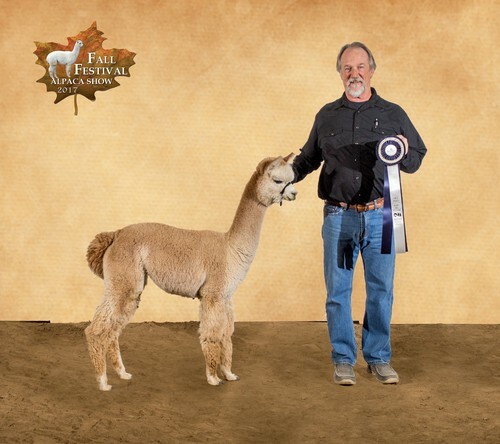 We repeated the breeding for a fall 2015 cria. 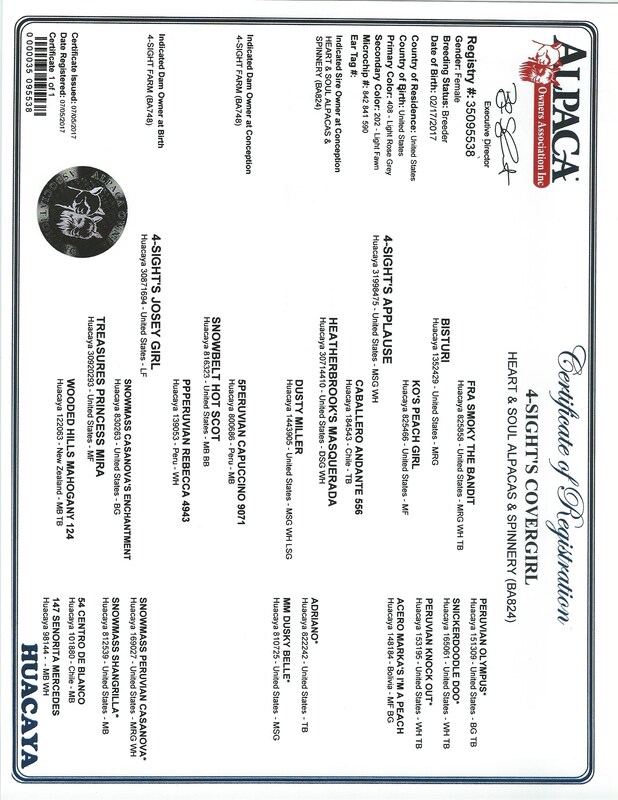 Covergirl was the 3rd of 3 repeat breedings, they knew a good cross when they saw it. We are thrilled with Covergirl's classic tuxedo markings and striking color pattern. Her fleece takes on an almost platinum gray shade. 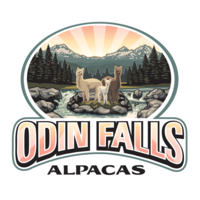 Covergirl's dam is the producer of the 2013 International Alpaca Odyssey's Spinners Dream Fleece award winner! Her grand sire is Snowbelt's Hotscot, a maker of champion after champion offsprings including Sliver Rose Matthias and Silver Rose Sentinel. Covergirl's sire, 4-Sight's Applause, is a multi champion in both halter & fleece! 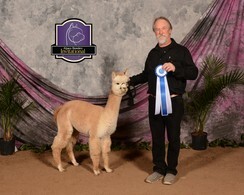 He has also won the prestigious Spinners Dream award and Best Head Award at the International Alpaca Odyssey. This male is not lacking in anything! He has done exactly what they had hoped for in producing Covergirl, bringing style, uniformity of fleece and character and density. Cover girl is ready to hit the show trail starting in October.